We are finished with GAPS Intro (follow our journey here) and have been for some time, I just couldn’t find the time to sit down for this recap. When we officially finished Intro I was so put off by how little I personally accomplished on the diet, that I went on a binge fest – mostly eating gluten loaded sweets from all my favorite local bakeries. It was bad. I was ashamed and I hid it from my husband and my kids. I’ve never done that before. I gained five pounds in two weeks and by the end of it I’d had more than enough of the sugary stuff. And do you want to know what’s funny? I felt absolutely no worse than when I was on the GAPS Intro diet. There is one large reason for that – GHEE. So, you remember my last few posts I was singing the praises of ghee? Even my dairy allergic son was able to tolerate it and he and I both had built up to quite a large quantity in our diets each day. Well, turns out ghee is not my or my son’s friend, I’m sad to report. You’ll remember in previous posts about this horrendous heart burn I was having? It was so bad sometimes I’d have to lay down other times it made me restless – burning, aching in my back, discomfort while breathing. Anyway, I was at the end of Intro when I thought I should take out ghee just to see if I felt better. It didn’t happen immediately, but after a few days I did feel better. When I first introduced ghee it was ok for me, but I guess it was the build up over time, the ever increasing quantities that finally did me in. Same for my son. His asthma started flaring not long after my last post, day 44 it was. Once he quit ghee, his asthma cleared up in a few days. The symptoms came on so gradually that I didn’t connect either of our issues with the ghee until I removed it from my diet and them my son’s. Moving on to the good news. I can say that I was not sick one single day while on GAPS Intro. We started the diet sick actually, and after a few days we all healed up and didn’t have one sickness between the two of us the entire winter. This coming from someone who, no joke, spent the entire previous fall and winter with varying degrees of illness and even the fall/early winter before starting the diet this year. My daughter, who wasn’t on GAPS, had quite a few colds this year that Tristan and I never caught. That was monumental in our house. And definitely a GAPS win. Tristan just recently was tested again for his allergies. And his cow’s dairy and tree nut results were so low and in some cases nonexistent that the doctor recommended trying them at home! I couldn’t believe it! Was this due to GAPS? It’s hard to say because he’s just about to turn six and could be outgrowing some of his allergies. And he is receiving treatment via homeopathy as well. But honestly, does it matter how he’s healing as long as he is? We’re thrilled. We did test the dairy in baked goods and he was fine. 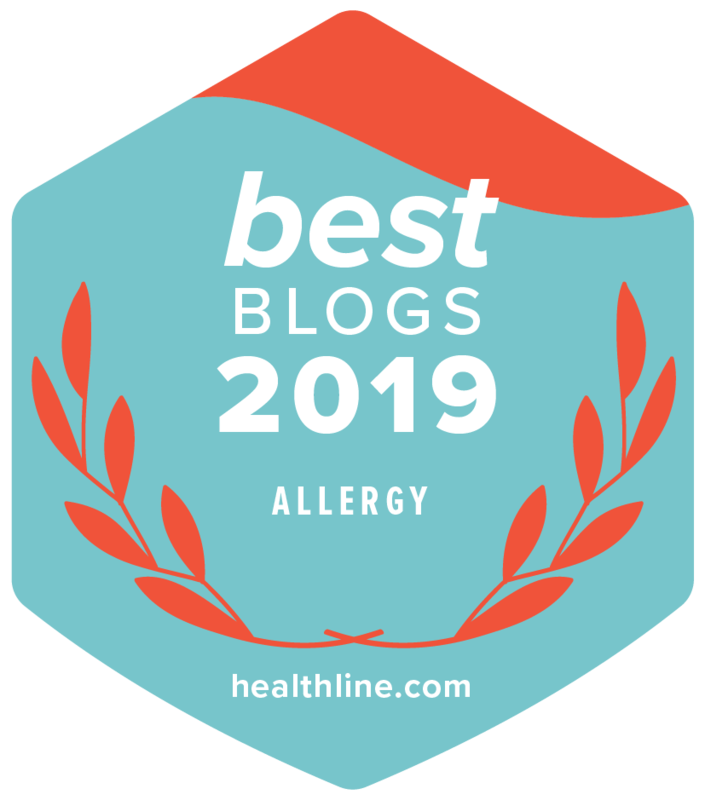 Then we moved to raw yogurt and he was fine….but that night his post nasal drip triggered some coughing – easy to mistake for an asthmatic cough. I was alarmed, but thankful he didn’t have an immediate response. The coughing continued at night only for a few days and then went away. So, we’re not quite sure if it was related to the raw dairy or not as Tristan’s sister was sick at the time, so it’s possible Tristan had a little cold too. We’re going to try it again soon just to be sure. After that we’ll move on to trying the nuts. Very exciting about that. He already eats some nuts, but we’ll be happy when all nuts are safe. As soon as we wrapped up with Intro, some of the benefits quickly vanished. Tristan’s baby soft skin became more dry day by day. This may be related to the daily bathing we were doing rather than from the foods, hard to say. His eczema mostly stayed the same through the diet. For me, literally the day after I came off Intro and started my binge fest, my spring allergies hit. I’d been having a lot of join pain that disappeared and came back once off GAPS. And then there are the countless digestive issues I have that didn’t seem to get any better on Intro. In fact, my constipation improved 10 fold not long after I got off Intro. I found that to be very interesting. I believe it has a lot to do with the flax/chia/hemp seed crackers I’ve been making and devouring lately. All in all I was pretty disappointed. 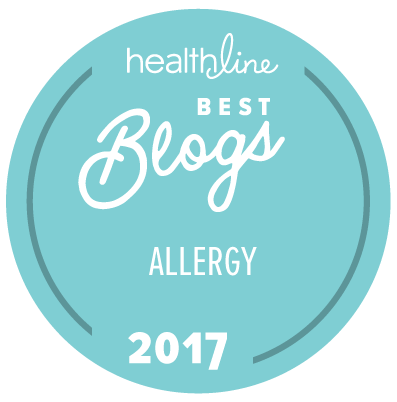 I wanted to see results mostly for my son – I wanted to completely heal his allergies, asthma, and eczema. While we some great changes, I’m not sure the improvement in my son’s allergies were directly related to GAPS. And his asthma and eczema remained mostly the same. I poured my heart out to my loyal GAPS FB group and everyone agreed that we should have stayed on Intro for much longer – at least six months and possibly longer. Then it was recommended we stay on full GAPS for 1-2 years. Honestly, right now I don’t have the heart to jump back into Intro. It was so much work and many times I felt worse on the diet than I did eating “normally,” and I didn’t have my husband’s 100% support and I felt bad limiting my children’s diet even more than usual. So, for now we’re no longer on Intro, but I will consider going back on it myself next winter if I cannot find relief via other healing methods. I may bring my son on board with me depending on how he’s doing at the time. Right now my son and I are largely on full GAPS, but I’m allowing him the occasional splurge. After my two week binge, I haven’t been craving sweets – I think I maxed out – and have been ok with GAPS friendly desserts for now. Since I found eggs, nuts, and nightshades to be big issues for me, I’m more on an Auto-Immune Paleo type diet now, which is more restrictive than full GAPS. But I won’t lie – I cheat on a weekly basis and I’m no longer ashamed. For now I’m eating what I want and mostly I find I’m happy with the AIP type diet – if I crave something – I’ll eat it or head out to the store and pick something fun and naughty up. It doesn’t make me feel any worse, so why not live a little. Life is too short not to enjoy the small things. I love your honest review, Jennifer! Regarding mine and my family’s health issues, I have experienced minimal results with things like elimination diets and feel so discouraged that internet articles always claim that diets are immediate cures for whatever ails you. Its nice to hear someone speak what I know to be true. I think k some people do find great healing, but for us and so many others it still is so hard to find all the triggers. Frustrating is right! Being vegetarian on any of these restrictive, healing diets would be hard. I think we will start to hear a lot more about AIP in the next year. People are seeing even better results than with GAPS, unfortunately probably my because it is more restrictive. The hardest thing for me is all the ferments. I just cannot make them and buying them is so costly. Hi Viva! So great to hear from you. The blog has been a great outlet for frustrations as well as being able to share natural healing ideas with others. It is quite demanding but so rewarding, don’t you find? That’s so great that you’re seeing results w paleo. We are mostly paleo right now, but do splurge here and there and don’t feel any better or worse, so I’m not to concerned about being strict right now. I hope you guys see even mor healing on AIP. Curious, why did you choose that over GAPS? I think I just haven’t gotten around to GAPS yet, because I read the other two Paleo books first and was so persuaded by the science they described that I decided to take the plunge with Paleo. I was also wary of GAPS Intro because my husband hates soups, so I figured he’d be miserable. But we’re keeping GAPS Intro in mind if we don’t see significant improvement with our daughter. Apparently it can take 3 months to a year of being strictly on paleo to start seeing significant improvements with autoimmune thyroid disease, which is reeeaaaaally long time, but honestly we’re desperate so we’re willing to try it. Your discovery of intolerance to ghee is fascinating- I’m glad you were able to figure it out. Good luck! It is long and it is hard, but I think it’s really worth it. Tristan and I just finally had ALCAT testing done last week and I’m desperately waiting for the results. I know deep down that there are some really difficult foods to nail down, that are still causing inflammation and thus eczema/allergies/asthma for my son and gut issues for myself. So, fingers crossed we find some answers this this test, because it wasn’t cheap 😉 Hopefully it will be worth it. Hello, I know that it’s a few months late to be asking this, but i read in an earlier blog post of yours that you were stuck on stage 2 of the intro diet because of an egg intolerance. I am currently in the same situation, and im wondering what you did to get past that stage, and if you’re still having problems with eggs? Ive been doing Gaps for over a year now. I was diagnosed with sever asthma and was on medication for 29 years. Did the GAPS into and was off all my medication within a few weeks. Felt amazing coming off the intro (took about 6 weeks to do into) and have been on full gaps on and off since. Honestly since being on full gaps I haven’t been 100% and noticed a direct correlation with asthma and allergies coming back when I deviate from the strict full gaps diet and not taking the bone broth daily. Its a hard struggle and I know the toll it takes (Ive got a wife a 4 kids, its always busy not to mention the Gaps food prep) but I will say that (for me anyways) has taken away my dependancy of medications. Currently I’m going back to being more strict on the diet and try to complete the healing that was started in the into. Not Sure where your at but for me I do see the direct benefit with healing my gut and asthma/allergies. The unfortunate problem is that there is no timeline and its taking longer than what I expected. Oh well, its better than being on medication I suppose. Thank you for sharing your story. GAPS ended up making things worse for my son and I, BUT I’m so glad to hear when it does work well for others, like in your case. Not having to depend much on medications must be so liberating, congratulations! Have you identified exactly what foods on Full GAPS are causing your condition to worsen? Perhaps doing the reintroduction at a slower pace could help you there. Good luck and keep us updated. I’d love to hear more of your story!